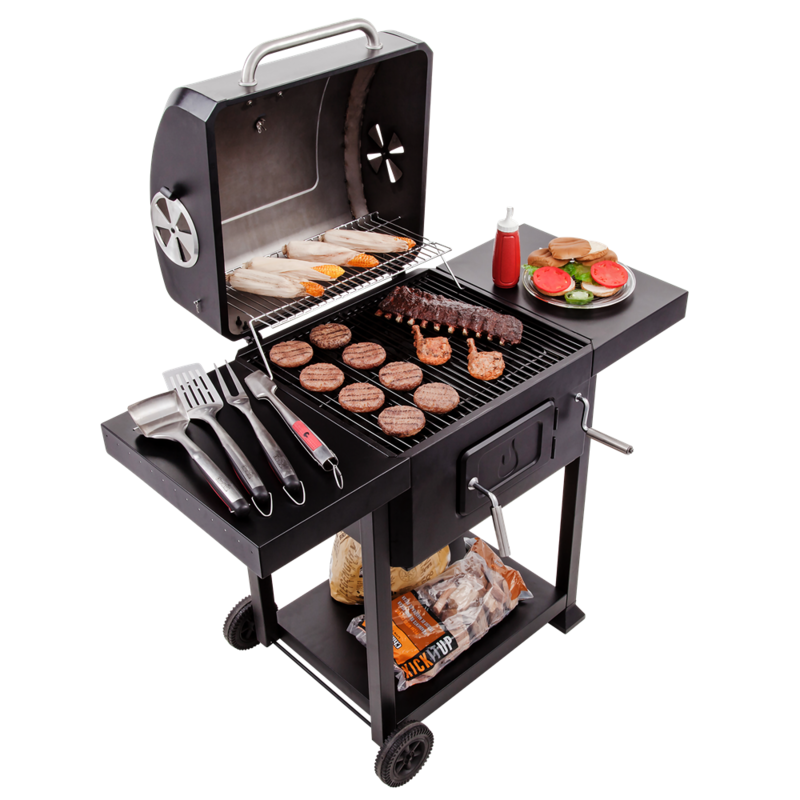 We've got you covered on all grill parts for one year from your date of purchase. 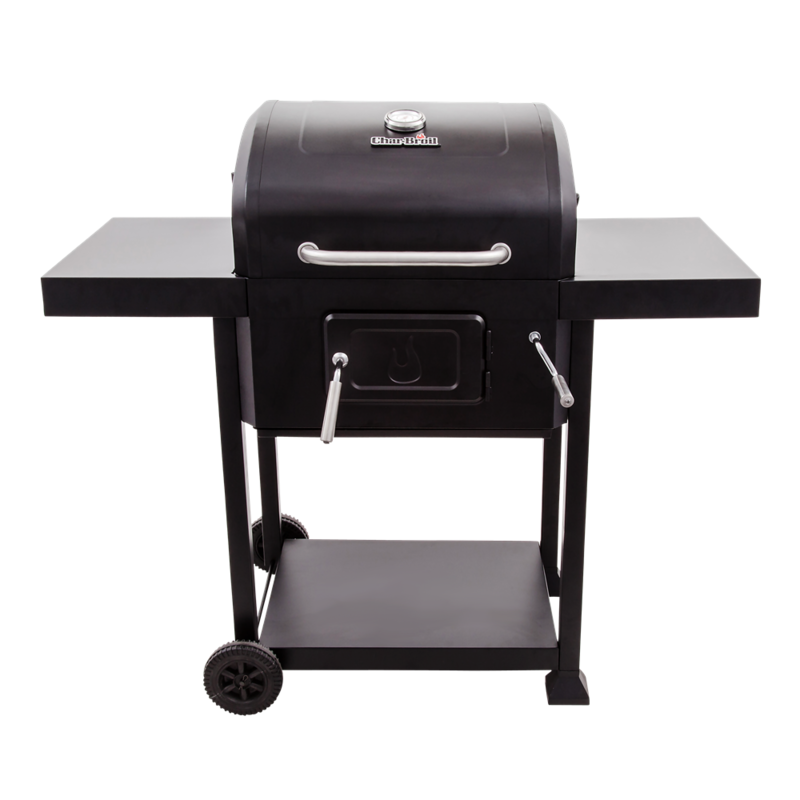 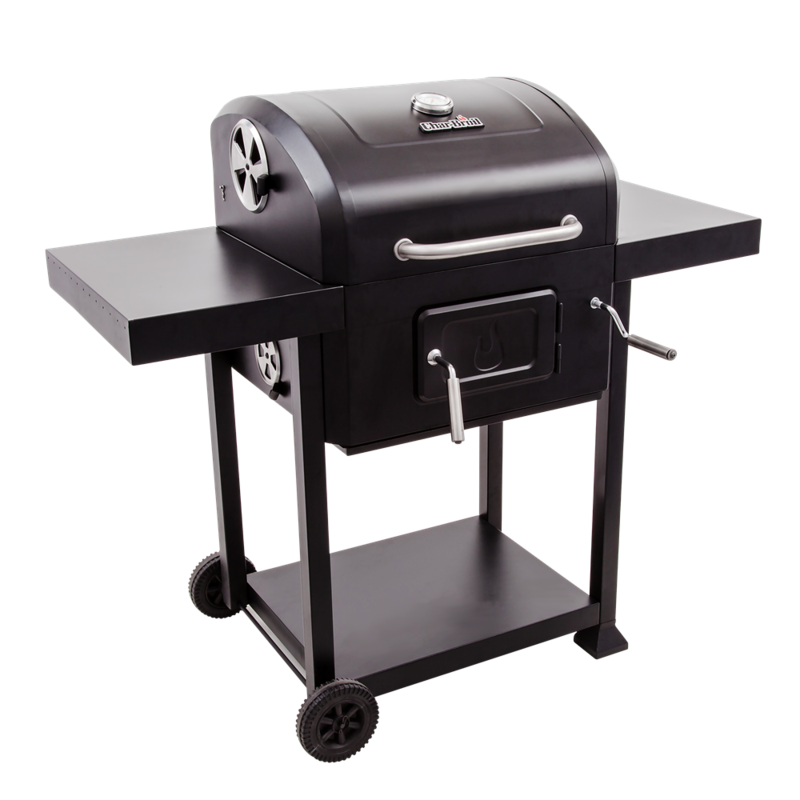 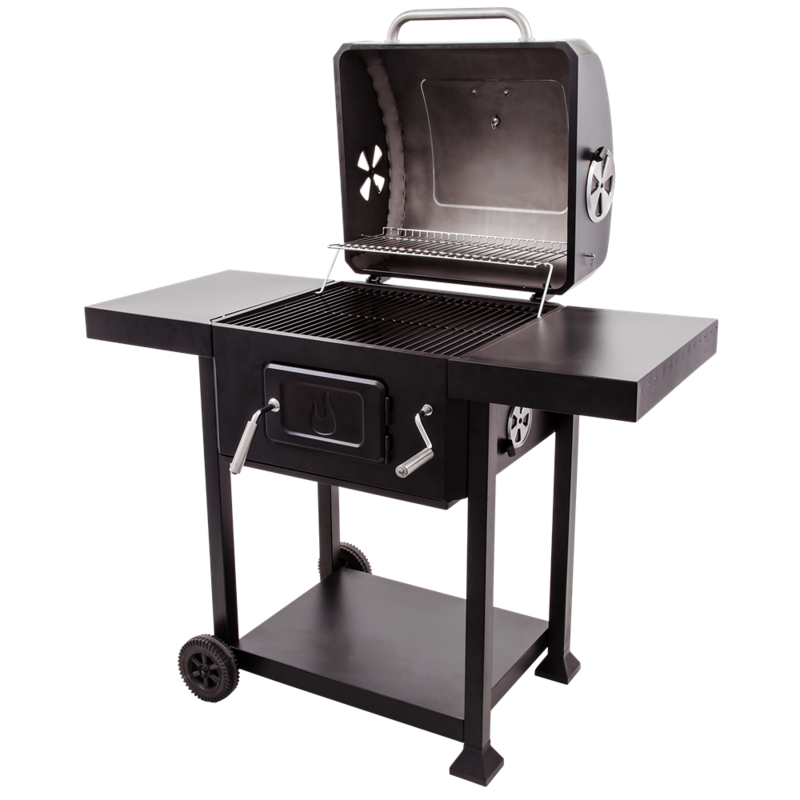 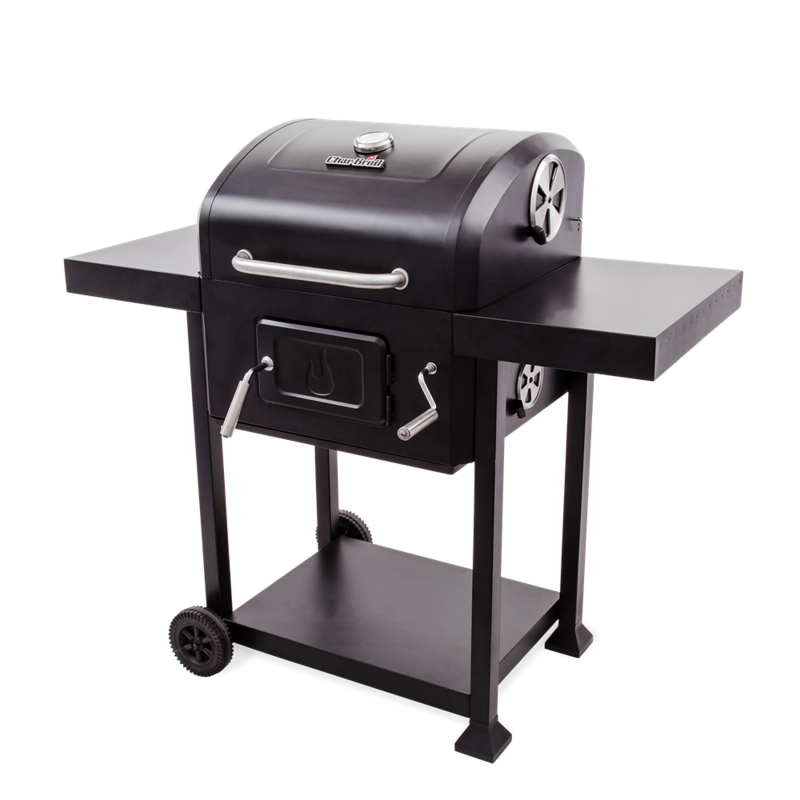 Easily move your grill around your backyard or patio. 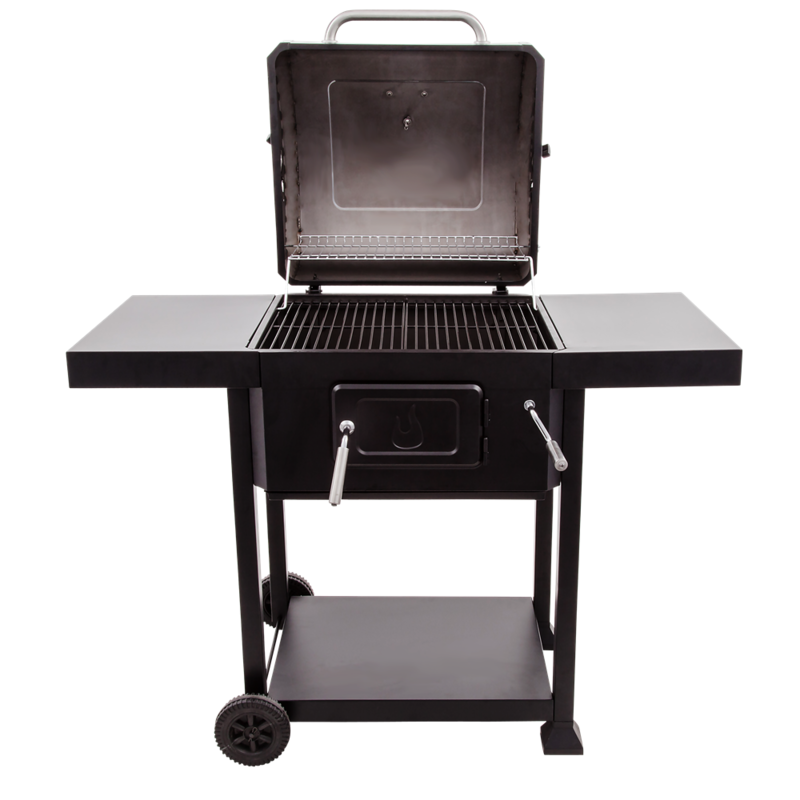 Powered by charcoal briquettes or lump charcoal. 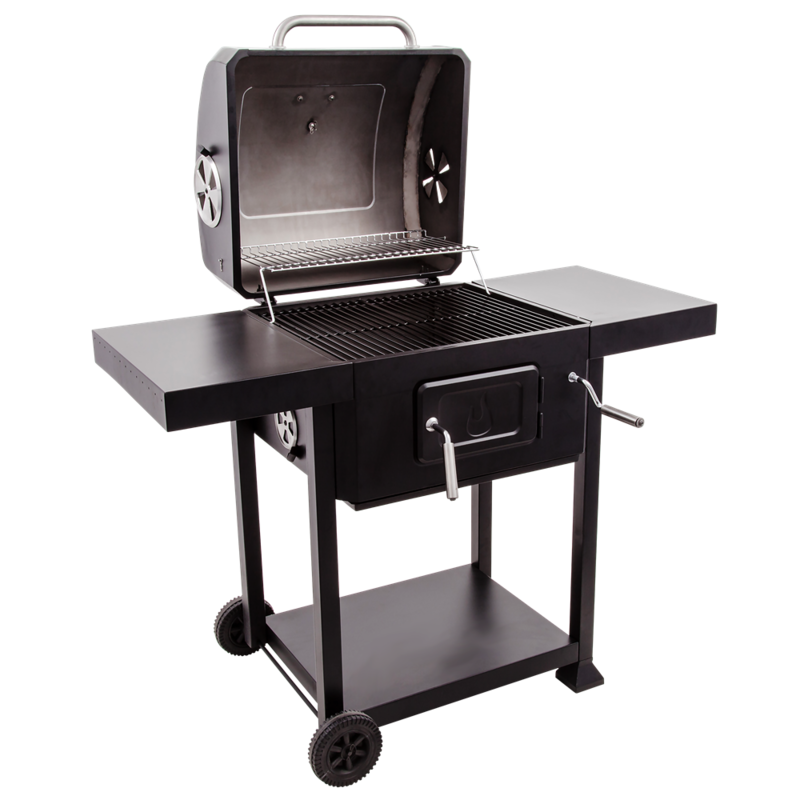 A handy place for your grilling tools and cooking accessories that doubles as extra workspace while you're cooking.